If you use adhesives with catheters and medical supplies that leave behind unwanted residue, Sportaid offers great deals on wipes that leave behind nothing but a fresh citrus scent. 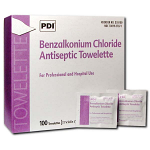 We provide No-Rinse Bathing Wipes, Alcohol Prep Pads, Skin Prep Barrier Wipes, Benzalkonium Antiseptic Towelettes, and Adhesive Remover Wipes for all types of users. Looking for a quick and easy way to clean and sanitize your hands? 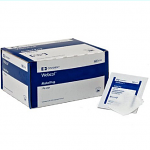 Try medical wipes that can kill 99.9% of harmful germs, including Hepatitis A, B and C, MRSA, VRE, CMV, E.Coli, TB, Herpes, HIV1-AIDS and more. 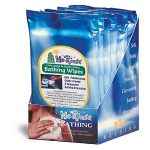 Get a great variety of Home Medical Wipes. 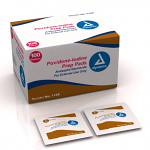 So hurry and shop online or feel free to call 1-800-743-7203 for help choosing the right product for you. And save big with Sportaid.com's everyday low prices. 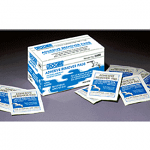 Get your Home Medical Wipes from Sportaid and save up 38% today! It is a great time to be a new customer because you will receive the same great satisfaction guarantee we offer those who have been with us for years. After over 25 years in the business helping people find the right Home Medical Wipes at the lowest prices, we continue to lead the industry! We carry a large selection of wheelchair cushions, wheelchair parts, and wheelchair accessories. We are capable of beating any competitor's advertised price, just call! Our customer service staff has over 50 years of experience, plus over 90 years of combined wheelchair use experience. We look forward to working with you!